Natalie Smith: 'Donning Oxford': Meet the Makers! 'Donning Oxford': Meet the Makers! 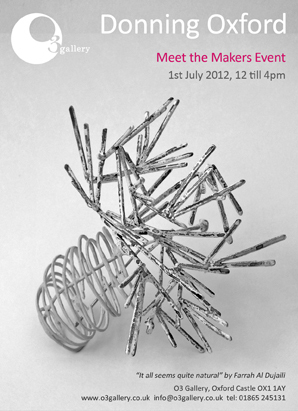 I will be one of the jewellers present at the 'Meet the Makers' event as part of the 'Donning Oxford' exhibition on the 1st July 2012 at the O3 Gallery.